This is part of the railways' efforts to overhaul old and damaged coaches of all trains, starting with premium trains. As part of the government's effort to upgrade defunct coaches of trains, the authorities on Wednesday launched 'Swarna' coaches of the Rajdhani Express with several new facilities, including 'auto janitor' system in toilets, faucets, stainless steel washbasins, improved soap dispensers, better quality dustbins and carefully chosen locations for ergonomic convenience, at the New Delhi Railway Station. This is part of the railways' efforts to overhaul old and damaged coaches of all trains, starting with premium trains. These coaches have initially been provided in the Sealdah New Delhi Rajdhani. They were upgraded at a cost of about Rs 35 lakh, the railways said. The features include complete painting of the interiors to an aesthetic international colour scheme and LED lighting to improve illumination. These coaches also have 'auto janitor' system in toilets, faucets, stainless steel washbasins, improved soap dispensers, better quality dustbins and carefully chosen locations for ergonomic convenience. The train has also been fitted with night signage for easy identifications of berths. It also has built-in ladders for First AC passengers for easy access to upper berths, CCTV cameras in doorway areas and aisles to monitor any suspect activity with data storage. The train, the first of its kind, also has improved features like newly-designed bags with extra pockets for mobiles, LED lighting over mirrors, vinyl wrapping of toilet doors for improved aesthetics, epoxy coating in toilets, provisioning of extra mats in toilets and polished commodes and basins to make them odour-free in every trip. 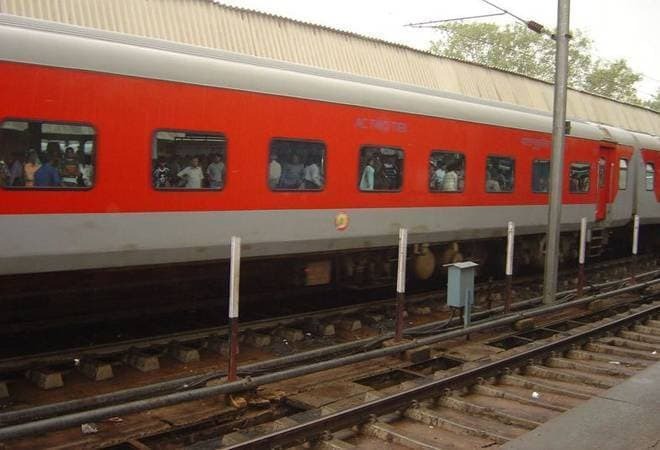 This passenger initiative would be extended to another three trains of Howrah-New Delhi Rajdhani and two trains of Sealdah-New Delhi Rajdhani and the Howrah-Ranchi Shatabdi Express.